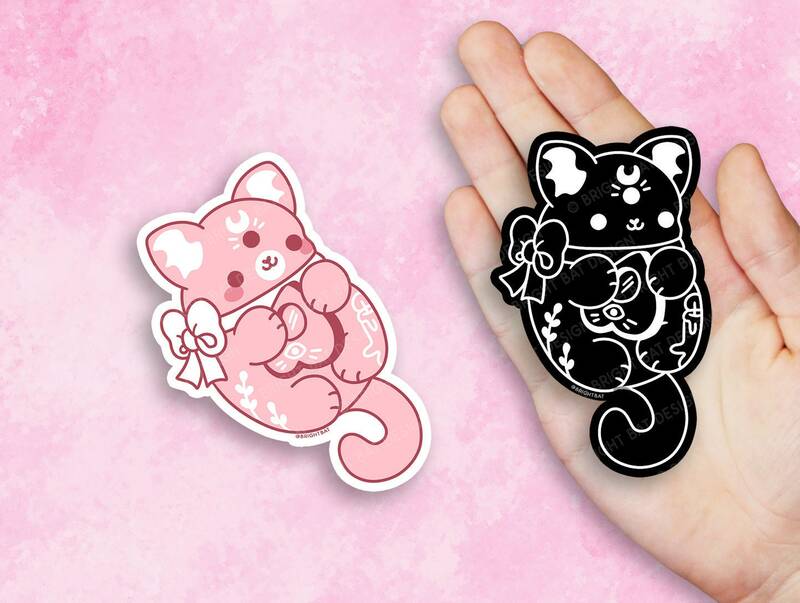 This vinyl sticker measures about: 4" x 2"
They are printed on high quality glossy vinyl and weatherproof, ready to give your sticker a long life on any surface! They are not dishwasher safe. Copyright Bright Bat Design 2018: All designs are copyrighted and cannot be copied, altered, or resold. All purchases are for personal use only unless given specific permission.